Here’s an incomplete list of some things that gave me joy this year: Sandra Oh was ferociously good in Killing Eve; the trio of Kaliko Kauahi, Nico Santos, and Nichole Bloom consistently delighted on Superstore; we got to see Manny Jacinto, Mitch Narito, and Eugene Cordero bro it out in The Good Place episode “The Ballad of Donkey Doug”; Hong Chau continued to make every little role she does feel big (Homecoming and Forever); Japanese Breakfast wrote a gorgeous essay about her mother and H Mart; Chloé Zhao managed to make a movie that felt both expansive and intimate with The Rider; Aneesh Chaganty directed hot dad John Cho in the indie thriller Searching; Bowen Yang delivered some expert lip syncs; a mother ate her (metaphorical) son in the Pixar short Bao; Lana Condor charmed in To All the Boys I’ve Loved Before; Ling Ma published the genre-mixing zombie novel Severance; Ali Wong dropped a second comedy bombshell on Netflix, Hard Knock Wife; David Chang pursued his neuroses in Ugly Delicious (particularly the Viet-Cajun episode); the mandarin duck came to town. This flattening is in part because America operates on a black-white paradigm, leaving Asian-Americans caught in another in-between space where they can either be charged for being “white adjacent” or appropriating black culture. There’s a fog of invisibility, of never quite feeling full ownership over “American” culture. The creation of Asian-American identity is itself a response to that myopia — the yoking of vast continents of people, languages, and cultures is only possible in a country that’s unable to contain nuance. But even as Asian-American identity was created as a political tool in response to white supremacy, there’s a generative aspect to it, too. The forced grouping produces empathic ways of looking outward, broadening horizons, and connecting the lines of history and geography. What has been revitalizing about this year has been the amount of Asian-American work that moved away from the artificial separation of identity and art, and at times, even hit upon similar ideas. It’s slow going because we’re still operating in a system governed by white gatekeepers, but there were more moments where I felt that thing — that Asian-American thing — shudder deep inside my bones. Take the scene in Crazy Rich Asians when Eleanor (Michelle Yeoh) accosts her potential daughter-in-law, Rachel (Constance Wu), on the staircase and tells her, “You will never be enough.” Eleanor’s withering judgment is not just because Rachel comes from no-name Chinese stock (although that too), but that she is too American, and she couldn’t possibly understand the sacrifice required to marry into this dynastic Chinese-Singaporean family. The scene has extra-textual resonance — Eleanor could have been talking about how Asians might view Asian-Americans as incomplete, cultural half-wits. There’s another moment in Bing Liu’s documentary Minding the Gap that hits that raw nerve. It follows Liu and two of his childhood friends in Rockford, Illinois, bounded by the experience of domestic violence. In one particularly difficult scene, Liu asks his mother, who remarried a white American man that beat him as a child, whether she knew. She can’t give him a good answer, and you can sense a chasm opening up between them as she struggles to respond in halting, accented English. There is no neat resolution, and much of it is left unanswered. That, too, feels accurate in the way that the generational gap between immigrants and their children can feel like an unclosed wound. If feeling adrift is melancholic, maybe that middle space can be claimed as a home of its own. The goddess of mellow electronic pop, Yaeji released a single, “One More,” this year that continued the inherent bilingualism in her music where she mixes Korean and English. When she DJs, she layers improvised vocals to her set, adding to the hybrid effect. She makes the hyphenate of Korean-American a style in and of itself. 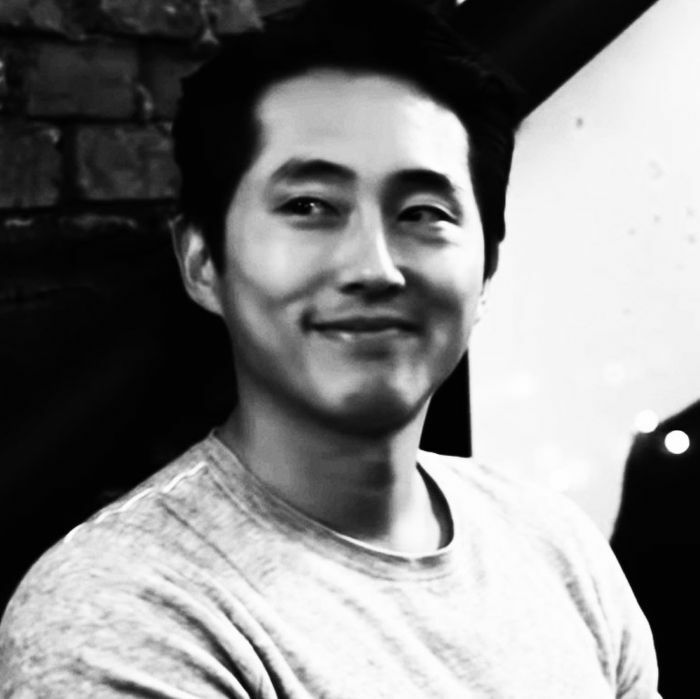 So, too, does Steven Yeun. In his past two roles with Korean directors, he’s been able to explore varying sides of the Korean-American experience. In Bong Joon-ho’s 2017 film Okja, Yeun played a fumbling Korean-American animal-rights activist who speaks mangled Korean. He’s the tragic fool trying to bridge two worlds and failing. In Lee Chang-dong’s 2018 film Burning, he offers a variation: the cosmopolite who moves effortlessly through society, unbound and unbidden, speaking Korean with a chilling textbook accuracy. His origins are unknown — his name is simply Ben — but there’s a recognizable American swagger to his character and the way he looks and moves. Even though the role is completely in Korean, there’s a Korean-American sensibility guiding the part. Yeun’s performances in Okja and Burning are roles only a Korean-American with his level of language facility and artistic ambition could do. What’s more Asian-American than that? However Asian-American art continues to evolve, it can only get more interesting if there are more conversations where Asian-Americans are unafraid to speak to each other. Something vital happens when we begin to see one another as the people to please, berate, critique, create, and play with. It produces delicious moments of frisson, like Ali Wong telling David Chang that she only wants to know how Asian people rate Asian restaurants, or Hasan Minhaj teasing Queer Eye’s Tan France that, actually, India is the future. So maybe it makes perfect sense that Crazy Rich Asians didn’t do well at the Chinese box office, because perhaps it wasn’t for them anyway. That dynamic is written into the film, too. The climactic scene of the movie staged a mahjong battle between Eleanor and Rachel, where Rachel decides to give it all up — a winning tile and her boyfriend’s proposal for marriage — so that Eleanor could have what she wants. Instead, she would pick herself — her poor, raised-by-a-single-mom, immigrant, low-class nobody self — because she knew she was enough. Please note that I’m using Asian-American as a catchall term to refer to the Asian diaspora in the West. Yes, that is 100 percent some American hegemony at play here, but to be fair, these artists are working within the American context. (Because of the hegemony). His name is Alex Landi. I looked it up.